Physical exams should be scheduled at least once or twice a year, as this is the time when Dr. Yasser Salem at Quantum Healthcare in Crivitz, Wisconsin will evaluate your general health and well being. A physical exam can also include the evaluation and monitoring of ongoing health issues such as high cholesterol or high blood pressure. The Quantum Healthcare team is here to help. "Best care you can get." "We visited urgent care and were taken care of very quickly and professionally." "Dr. Curio is one of the best doctors I've ever had!!" Everyone needs a physical exam at least once a year. The goal of a physical exam is to evaluate your general health. During a physical exam, Dr. Salem will also make note of any changes since your last exam and will discuss any emerging issues with you. A physician will review your current medication list with you and can make changes or additions as needed during a physical exam. A physical exam is an essential part of preventive healthcare today. Whether you're the youngest member of the family or the oldest, there are health conditions that can be prevented by seeing one of our physicians for physical exams. In some cases, children must have physical exams prior to the start of a new school year or prior to playing team sports. Some employers require you to have a physical exam before you start work. There are also many insurance companies that require you to undergo a physical exam before you can purchase health insurance through them. Is There Any Preparation Needed For a Physical Exam? 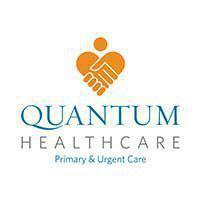 Quantum Healthcare will advise you if you need to prepare for your physical exam in any special way. Usually, the only thing you'll need to do is to have a list of any medications you're taking (both prescription and over the counter). Also, if you've had medical care at any other facility since your last physical exam, be sure to let Dr. Salem know about it before the exam. At Quantum Healthcare, a physical exam starts with a look at your medical history, including records of past physical exams. During the appointment, all of your vital signs will be checked and compared to past readings. A physician will perform checks on your lungs, eyes, ears, nose, throat, and reaction times. He can also check any areas that you're concerned about, for example if you have a new skin growth Dr. Salem can check that during the physical exam as well. If you're due for any immunizations, those can be administered during the physical exam. If any specific tests need to be done, for example cholesterol tests, blood can be drawn during the physical exam as well. At Quantum Healthcare, we accept most major insurance plans. Please contact our office if you have any questions or do not see your insurance provider listed.